Advent reminds us, year in and year out, that although we are to keep a weather eye out for cosmic signs, we must, like the fig tree that Jesus evokes in this passage, be rooted in the life of the earth. And in the rhythm of our daily lives here on earth, Christ bids us to practice the apocalypse. He calls us in each day and moment to do the things that will stir up our courage and keep us grounded in God, not only that we may perceive Christ when he comes, but also that we may recognize him even now. The Advent of Jesus Christ is a present and future reality. Jesus is Emmanuel, God with us, and Jesus is King of Glory, who will come again at the end of the age to put a final end to all brokenness. Jesus invites us to live the reality of his current saving presence while at the same time looking forward to the culmination of that salvation for those who believe and the rest of creation. Jesus proclaims that those who embrace the present and future reality of the Kingdom live very different lives than those who do not. Those who are unprepared find themselves weak with fear and foreboding at the in-breaking of Jesus. Those who are prepared are compared to a well-trained sentinel- at the ready, an eye-of-the-tiger focus and discipline, nourished and grounded like a tree with deep roots. The prepared have left behind “dissipation and drunkenness” to honor and fortify their bodies for the challenges of living a Christ-like life. They spend their mental and spiritual energy in prayer rather than on anxiety or worry. Through their deep connection to Christ, they have the strength to stand up for their Lord and with their Lord no matter the circumstance, head raised in hope, knowing God is near. 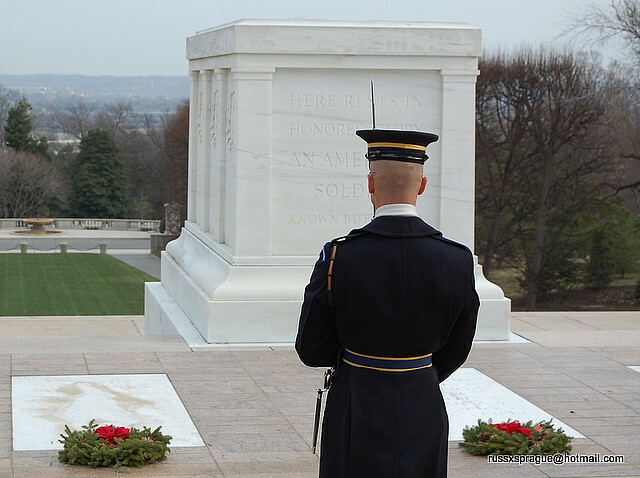 Jesus’ description of the prepared reminds me of those most honorable soldiers who guard the Tomb of the Unknowns at Arlington National Cemetery- day in and day out, no matter the weather, ready to defend, protect and keep watch. It also reminds me of the description of the righteous in Psalm 1– like strong trees, standing firm because they are rooted in the life-giving ways of God. In 1992, Hurricane Andrew came through south Florida. When the storm had passed, it looked like someone had dropped a bomb. The street signs and other landmarks were gone. It’s as if most of the houses had been made of matchsticks. They shattered, sending wood into rock hard tree trunks like a carving fork into a Thanksgiving turkey. Only a few houses survived. What’s so interesting is that most of these homes were built by Habitat for Humanity. Hand nailed by volunteers rather than thrown together as cheaply and quickly as possible. At the end of the storm, they stood like sentinels- testimonies to honor, focus, and being well prepared. What changes do we need to make in our lives so that we too have the strength to stand in Christ Jesus, now and always. Its leaf never withers, for it grows in the richest sod. That flows from the throne-room of God. And in due season, it sends forth its fruit. For more information/permission on the use of this devotional in other settings, please refer leave a comment. This entry was posted in Advent/Christmas and tagged Advent Door, discipline, Kingdom, prepared, second coming, strength by revlisad. Bookmark the permalink.